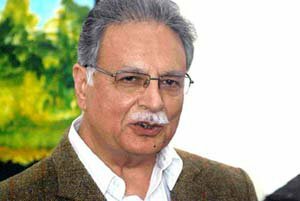 FAISALABAD, Apr 3 (APP): Federal Minister for Information, Broadcasting and National Heritage Senator Pervaiz Rashid inaugurated the Twenty-20 (T-20) Blind Cricket Series at Iqbal Stadium here on Sunday. Winning the toss, the Sri Lankan captain Ravan Wasantha decided to bat first and the Federal Information Minister kicked off the cricket series by playing a ball. The cricket series will continue till April 5.